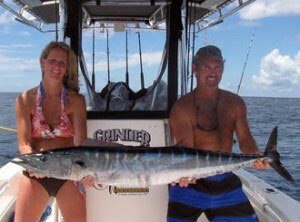 Offshore Fishing Charters Dunedin, FL - Your Big Fish is Waiting! Aboard a Monster Charter's offshore fishing charter, you'll have the experience of a lifetime hooking big game, and because Monster Charter's supplies all the equpiment, you'll be perfectly equipped to catch even the biggest and strongest of the game fish to be snagged. Our seasoned captains are glad to have you aboard, and happy to offer up all their knowledge and expertise of fishing on the Gulf. 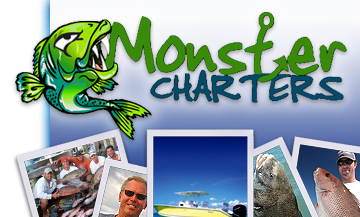 Contact us today to find out more about offshore fishing with Monster Charters, and to reserve your spot.